Research has found that regularly swallowing hot drinks nearly doubles the risk of developing diseases of the gullet and researchers have advised people to allow beverages to cool. In 2016, the World Health Organisation first warned of the cancer risk associated with drinks above 65C. Now a study of 50,000 people by the American Cancer Society has found that drinking 700ml per day of tea (around three cups) at 60C or higher appears to be "consistently associated" with a 90 per cent increased risk of contracting the disease, compared with people who consumed drinks at lower temperature. Dr Farhad Islami, lead author, said: "Many people enjoy drinking tea, coffee, or other hot beverages. But according to our report drinking very hot tea can increase the risk of oesophageal cancer. It is therefore advisable to wait until hot beverages cool down before drinking." However, the study was carried out on people living in Iran, where tea and coffee is drunk far hotter than in Britain. An article published in the journal Burns in 2016 found that a cup of tea with 10ml of milk cooled to less than 65C in under five minutes. Allowing tea to cool to 60C is unlikely to affect the taste, according to research. The Royal Society of Chemistry also recommends drinking tea at 60-65 degrees, while Northumbria University found that the perfect drinking temperature of tea - 60C - is achieved six minutes after preparation. Most coffee experts recommend that the drink be served at temperatures between 40 and 60C. 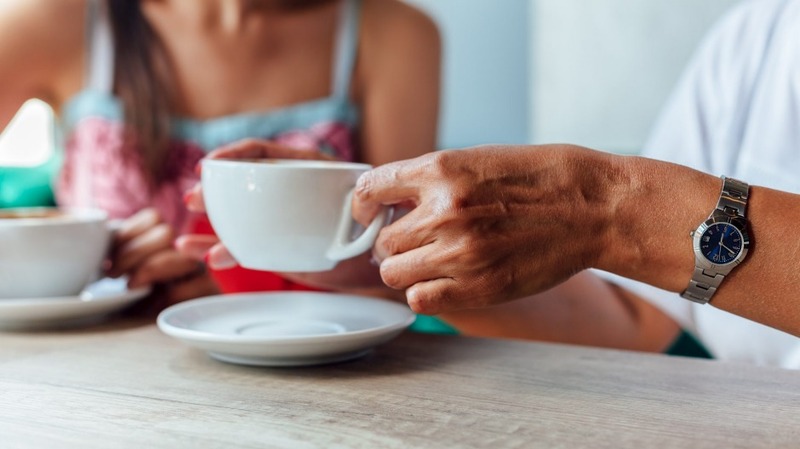 Georgina Hill, the health information officer at Cancer Research UK, said: "This study adds to the evidence that having drinks hotter than 60 degrees may increase the risk of oesophageal cancer, but most people in the UK don't drink their tea at such high temperatures. As long you're letting your tea cool down a bit before you drink it, or adding cold milk, you're unlikely to be raising your cancer risk. "Not smoking, keeping a healthy weight and cutting down on alcohol will do much more to stack the odds in your favour."